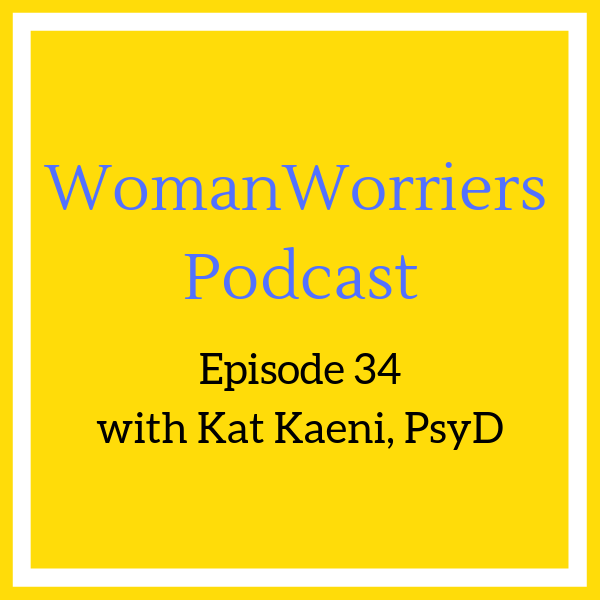 When she experienced anxiety, depression and obsessive thoughts after the birth of her first child, Kat Kaeni, Psy.D., assumed motherhood was supposed to be hard. Therapy taught her what was really going on. “If I didn’t know what was happening and I was supposed to be a mental health specialist, then how is anyone else figuring it out?” Today, “Dr. Kat” helps pregnant women and new moms address perinatal mood disorders. In this episode of the Woman Worriers podcast, she talks with host Elizabeth Cush, of Progression Counseling in Annapolis, Md., about the mood disorders that affect so many women, signs that what you’re experiencing might be serious and what to do about it.